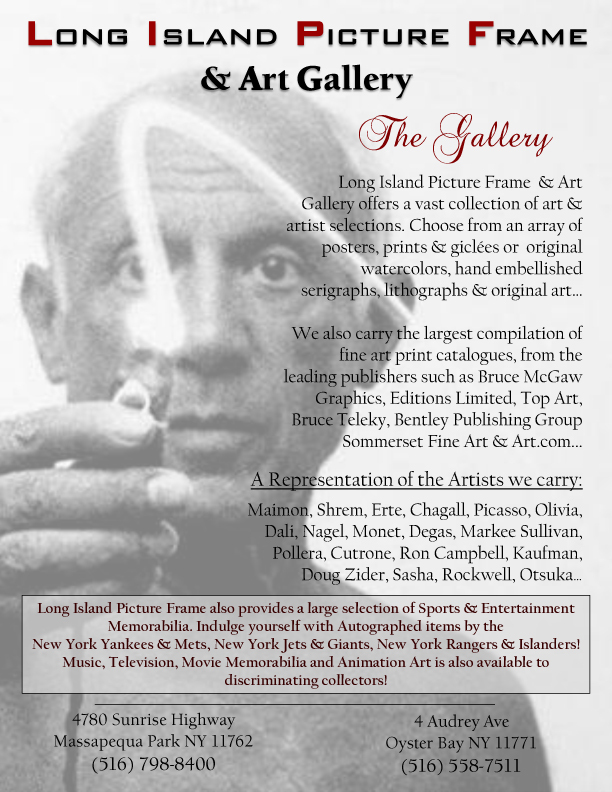 Long Island Picture Frame & Art Gallery has one of the largest selections of frames to choose from. 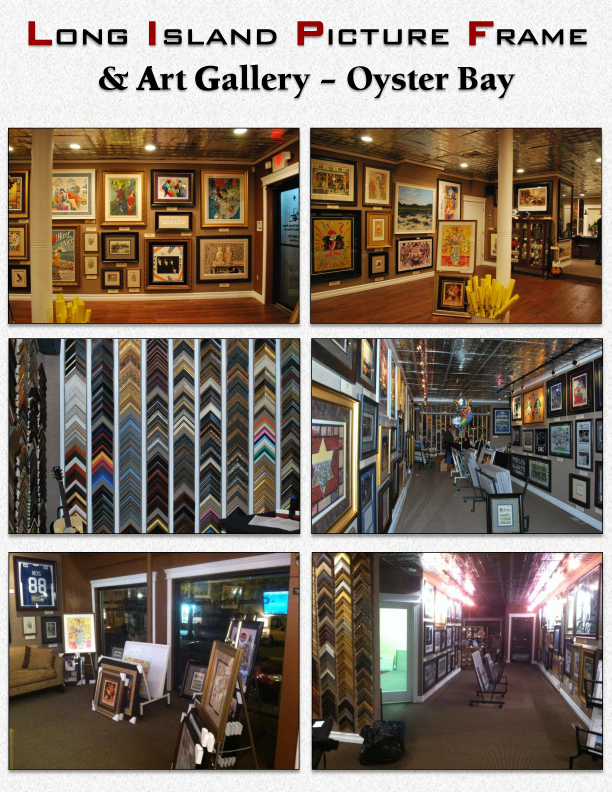 We offer over 10,000 frames, guaranteed to compliment any décor and budget. 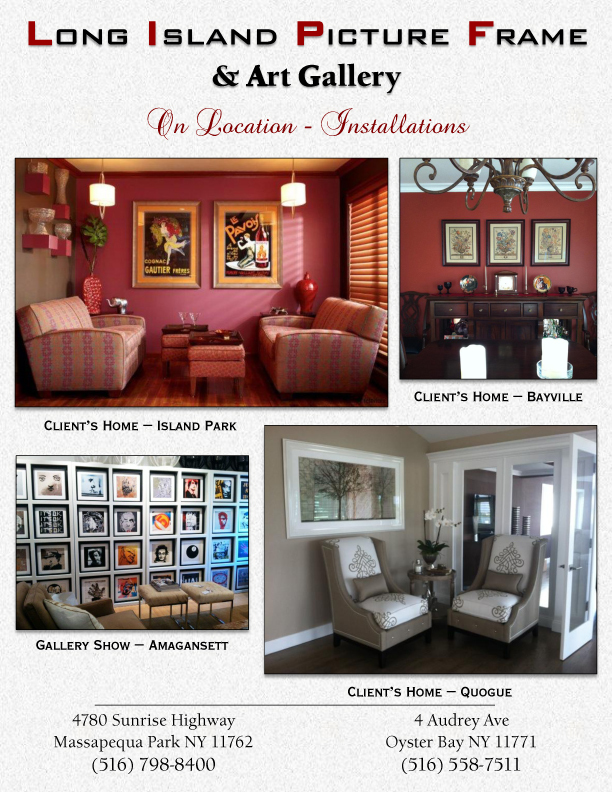 From a simplistic frame to the very ornate, LIPF has a collection that will satisfy the most discriminating decors. 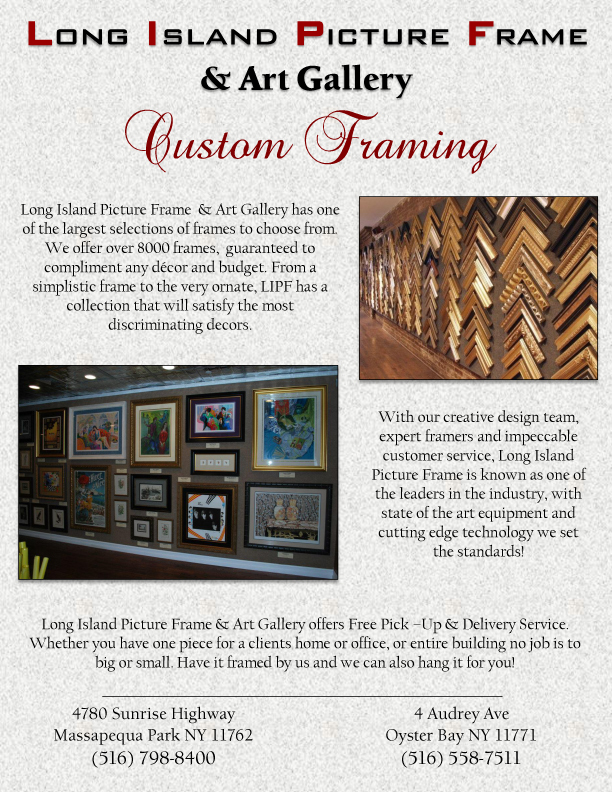 With our creative design team, expert framers and impeccable customer service, Long Island Picture Frame & Art Gallery is known as one of the leaders in the industry, with state of the art equipment and cutting edge technology we set the standards! 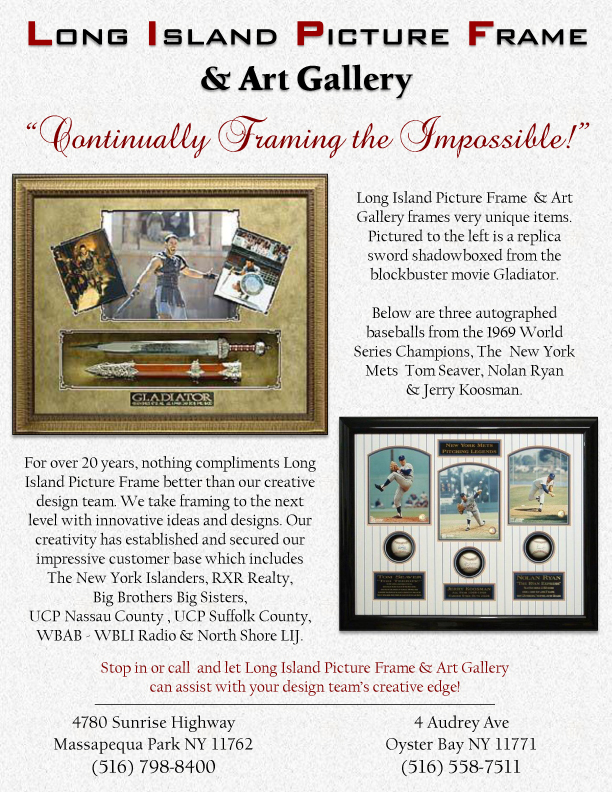 Long Island Picture Frame & Art Gallery carries the largest selection of frames & mats on Long Island! One of the most creative design teams in the industry. 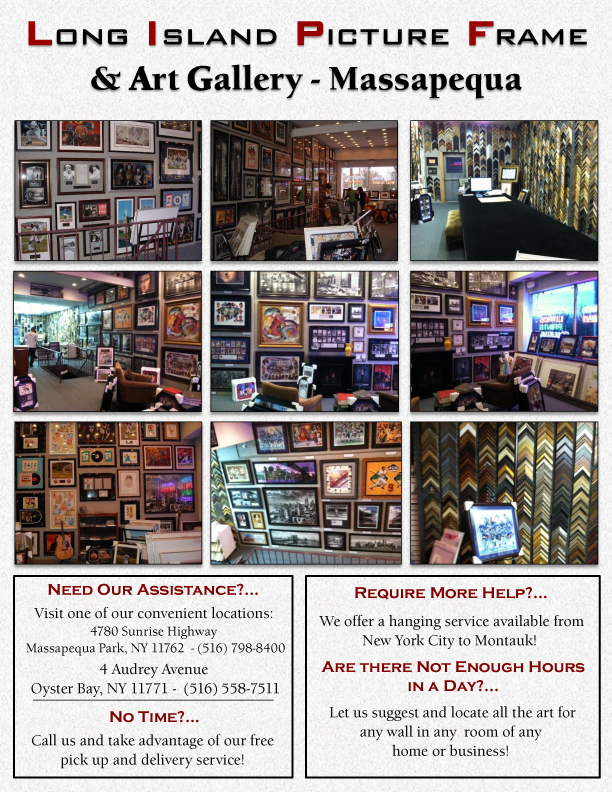 We offer: Conservation Framing, Custom Shadowboxes, Fine Art, Local Artists, Giclée & Photo Printing, Photo Restoration & Repair, Posters, Prints, Lithographs, Serigraphs & Giclées, Large Selection of Sports & Entertainment Memorabilia, we partner in Charity Fundraisers & Silent Auctions, Pick – Up & Delivery Service & We also do Hangings! 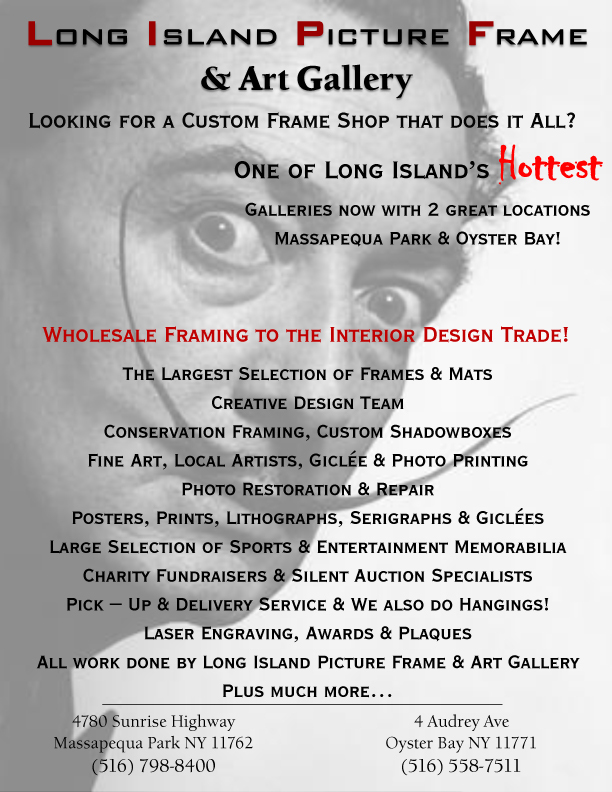 Laser Engraving, Awards & Plaques, All work done by Long Island Picture Frame & Art Gallery Plus Much More!